When we think about productivity we rarely consider the effect our workspaces might have on it. It’s important to optimize a workspace to enable workers to maximize their potential productivity and help a business succeed. In this article, we provide some simple office layout changes that will incrementally help you strengthen workplace productivity. It’s common for employees to be sedentary at their desks – spending almost all hours of their day in a small, confined space. As a result, the creation of the enzyme lipoprotein lipase – which converts fat into energy – is reduced, according to Domaine Home. This can cause workers to become less effective over the course of the day. As an alternative, organizations can invest in sit-stand desks. Switching between sitting and standing every 90 minutes can make quite a difference. It may seem small, but the brightness of an office can increase or decrease employee productivity. Companies should use any natural light to their benefit, as it results in happier and healthier workers, the Journal of Clinical Sleep Medicine found. If businesses are lacking on illumination from the sun, they can replicate it with a light of their own. Increasing the brightness of overhead bulbs or adding a desk lamp can further improve efficiency in the office. Workers often complain their offices are either too hot or too cold. Unfortunately, few businesses take the time to optimize the temperature of a workspace to make them feel more comfortable. The ideal range is between 69 and 71 degrees Fahrenheit, according to Forbes. Sitting hunched over can cause workers to feel sluggish and bored. Good posture, on the other hand, can increase productivity. According to LifeHack, employee’s workstations should have their computers monitor at eye level, using a stand, or monitor arms if necessary, and make sure their hands, wrists, and forearms are parallel to the floor. Furthermore, people should place their feet firmly on the floor. 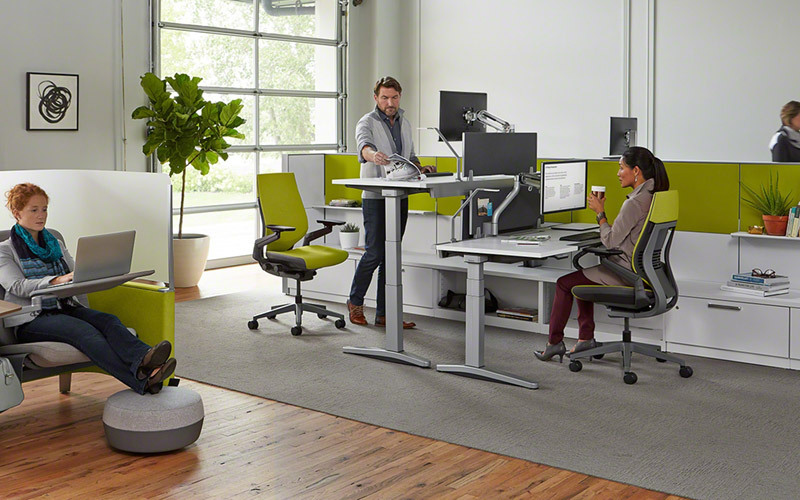 This ergonomic positioning will enable workers to perform at their best. To assist with this element of efficiency, companies should invest in intelligently designed office chairs for their workers. 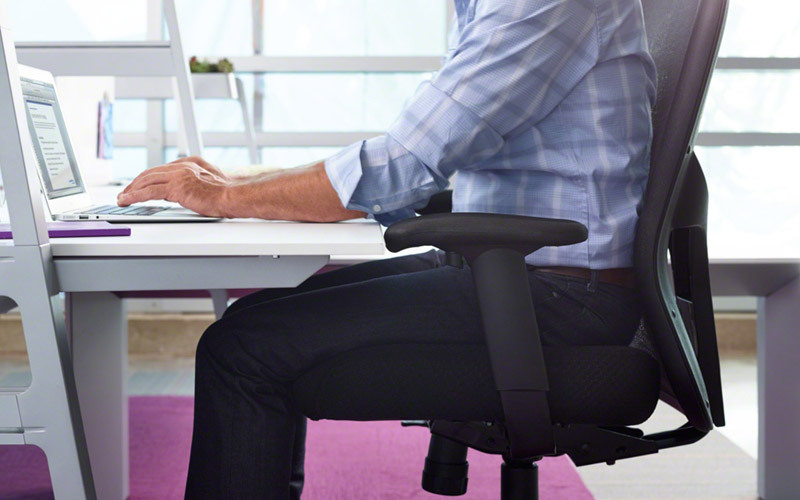 Comfortable seating that’s adjustable can go a long way in terms of productivity. The ability to look out of the window at an interesting landscape can improve efficiency at work, but not all companies are afforded that option. Instead, businesses should allow employees to decorate their workspace in an appropriate manner. Family photos, desktop clocks and colorful clothing racks can increase people’s happiness – thereby improving productivity. It’s important for organizations to ensure their workplaces are creative and efficient on a daily basis. 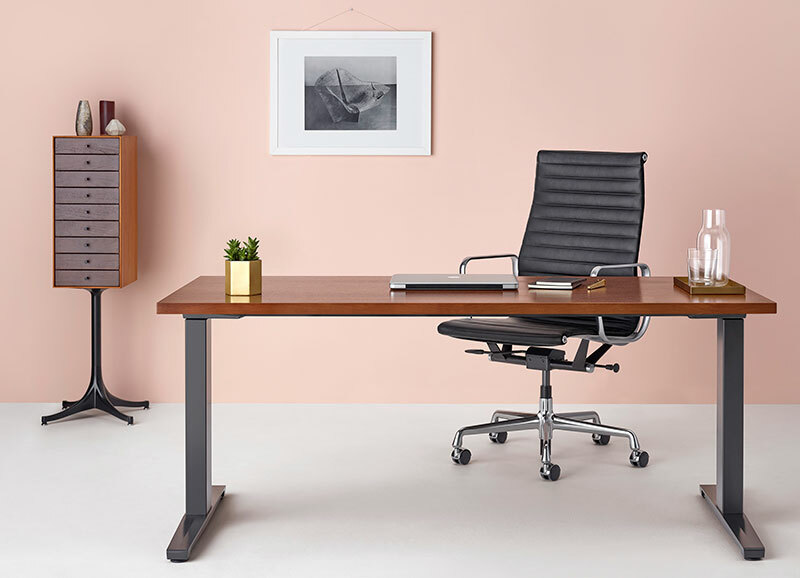 Changing the office setup or providing employees with tools like comfortable seating or bright lighting is a smart way to improve productivity. 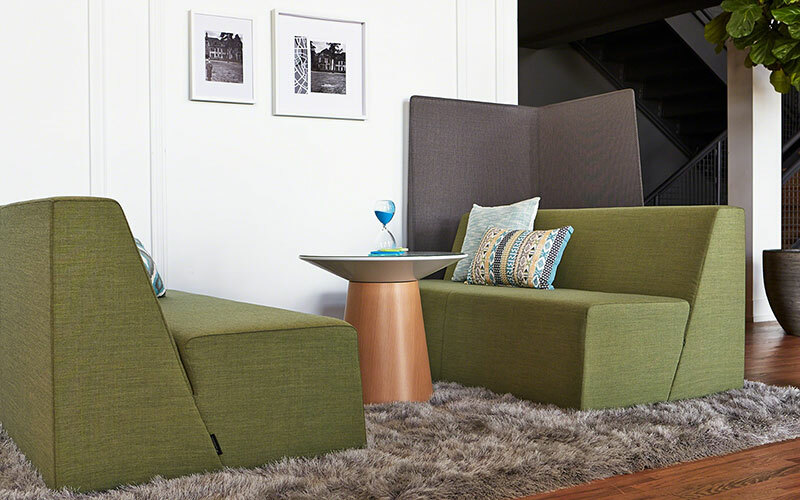 If you’re looking to outfit your office for success Office Designs is here to help, give our layout and design experts a call at 888.485.1044. The post Simple Office Layout Fixes To Strengthen Office Productivity appeared first on Office Designs Blog.